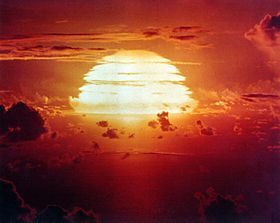 Photograph taken milliseconds after detonation of nuclear device from the "Tumbler-Snapper" test series. (The shot tower is faintly visible below fireball; downward spikes are termed "rope tricks"). 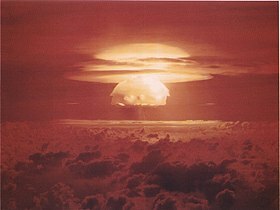 |caption = Photograph taken milliseconds after detonation of nuclear device from the "Tumbler-Snapper" test series. (The shot tower is faintly visible below fireball; downward spikes are termed "[[rope trick effect|rope tricks]]"). 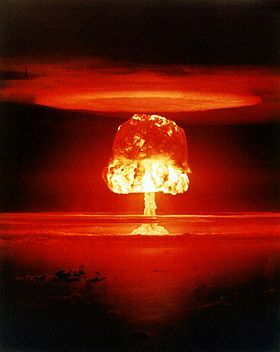 |caption             = ''Hardtack I Oak'', an 8.9 megaton explosion.